If someone had said to you a few years ago that there was a real possibility of making a career out of being a short filmmaker, you probably would have laughed in their face. Ever since the death of the silent film, short films have been a lost cause. They were simply not a good medium for filmmakers to tell complicated stories that audiences demanded. Short films became a way for filmmakers to learn their craft and hone their skills before moving up to the heavyweight division of feature-length movies. Well, that’s the way some people like to think it was anyway. The truth is short films have and always been an existing medium that has as much artistic value and creativity as their feature-length siblings. Just stop to think of how short filmmakers have to use creativity and powerful film telling methods to grab audience’s attention and to make the characters as deep and as captivating as those in feature length movies. Long shots that are used for anything from establishing the film world to creating tension simply take up too much time for a short film. Lengthy dialogue scenes that can be used to establish why a character might be acting a certain way or to explain what is going on are also too long. There are countless examples of storytelling devices that are regularly used in feature films that simply can’t be in short films. So how do short filmmakers get around these problems? The answer? Innovation and creativity of course. Short filmmakers are some of the most imaginative professionals in the industry. The enormous advantage that short filmmakers have is that their films are never expected to turn a profit. Because of this, nearly every short movie maker working today doesn’t have to pander exclusively to audience tastes. There are literally thousands of amazing short films that are just waiting to be discovered. So why don’t we see more short films? After the death of the silent film, short movies fell into rapid decline. The advent of the ‘talkie’, where actors’ voices and sound effects could now be heard, meant that filmmakers were now able to tell more complex stories. This naturally led to filmmakers needing more and more time to tell them. Because of this, the movies got longer and longer, eventually leaving the short film, movies under 40 minutes in length, behind. This led to short films losing the chance to get distribution, which meant that they never got the chance to be seen. This is one of the great crimes of film history. 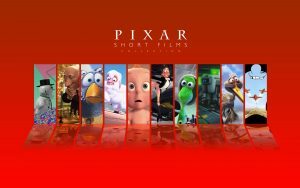 A simple solution could have been to show shorts before the features, something that was proved to be viable, and indeed popular, by Pixar. The short film death spiral continued as people began to associate shorts with poorer production values that came about as a result of them struggling to get adequate funding. By the 1990’s, the short film industry seemed little more than a good training ground for filmmakers who aspired to break into the feature film business. There had been little in the way of success stories, other than the popularity of the TV cartoon films that included Tom and Jerry and Topcat. However, by the 1990’s, even these cartoons were shifting to simply being only for children. 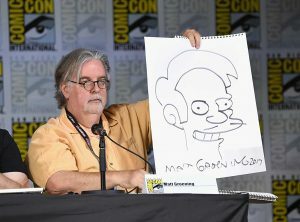 The advent of the global hit series The Simpsons would see the revival of the cartoon short film. Another unexpected success story would come from a new TV station called MTV, which popularized the music video. These shorts would be shown to support the music track and would become so popular that today, all chart singles must have a video. The music short unquestionably led to a huge surge of interest in the short film industry and in short filmmakers. However, the problem was that many filmmakers didn’t want to end up making music videos but rather stick to the feature format. For these filmmakers, the dark times continued as they remained frustrated by lack of funds and distribution. Governments began to listen to filmmakers’ concerns and so set up a series of organizations that allowed filmmakers access to funds. Though this certainly helped, much more was needed. As if on cue, along came the internet. As broadband speeds got faster, websites and apps began to appear that brought filmmakers and audiences closer together. Sites such as Netflix allowed global audiences access to films that they would never have been able to see otherwise. Suddenly, audiences were watching short films again. However, one big problem remained. Filmmakers were still getting little to no money for the films that they were making. This was a problem that had to be addressed. 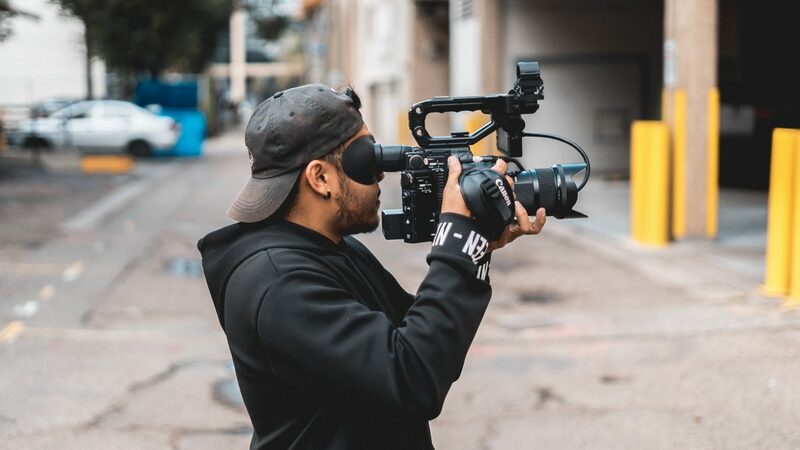 A group of short movie makers at Largo Films decided to solve the biggest problem that has dogged the short film industry for decades – lack of funding. They conceived of a platform that would be dedicated exclusively to short films. This platform would use sophisticated new AI technologies to give users the best possible experience and to help them easily find the best shorts for their tastes. To solve the funding problem, this dedicated short video on demand platform would reward filmmakers financially when its members watched their films. This would mean that at last filmmakers would be able to make money to reinvest into making new films. This exciting new platform became Sofy.tv, which was launched at the Cannes Film Festival earlier this year. To find out more about Sofy.tv, head to the site now. With the ability to access the kinds of funds they need, short filmmakers are poised to start a new chapter in short movie history, and it promised to be an extremely exciting and fruitful one. Join the Sofy.tv revolution today.